WISMEC SINUOUS FJ200 is an attractive and high performance vaping device consisted of 200W SINUOUS FJ200 TC Box MOD and 2ml/4ml Wismec Divider Sub Ohm Tank. With powerful TC/VW modes and innovative WS coil, SINUOUS FJ200 Kit is absolutely a good choice for vapers. Consisting of 4600mAh SINUOUS FJ200 TC MOD and 2ml/4ml Wismec Divider Tank, WISMEC SINUOUS FJ200 Kit is an extremely powerful and portable TC Kit with 1.3inch large display and hidden fire button for easy operation. 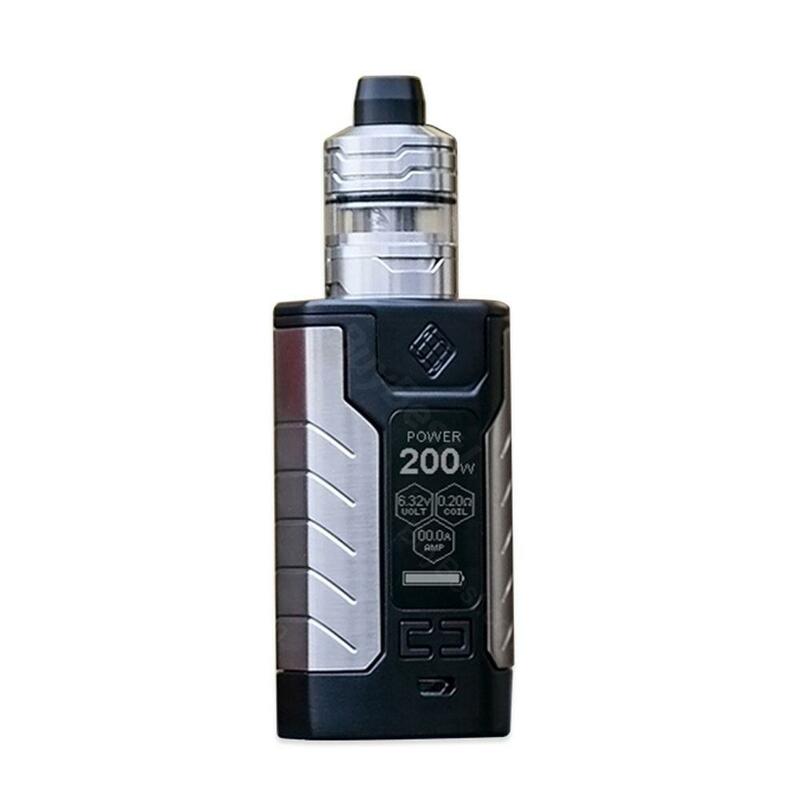 Together with an innovative temperature protection technology and greatly enhanced safe charging, SINUOUS FJ200 will bring you a simple yet amazing vaping. While the Divider atomizer features 2ml(with a silica gel plug)/4ml e-juice capacity, retractable top filling and convenient bottom airflow control. What’s more, Wismec Divider adopts powerful WS coils to bring you a different vaping with optimal flavor. Just get one SINUOUS FJ200 Kit to enjoy really powerful vaping! • You also can buy the replacement SINUOUS FJ200 MOD, Divider tank and 0.25ohm coil/0.2ohm coil. I compared with some wismec kits, and this SINUOUS FJ200 in a whole is suitable one for me. Its very good product !!! Удобный мод, мне нравится. Про комплектный бачок с атомайзером ничего сказать не могу, еще не пробовал, так как накрутил свой. Absolutely beautiful piece of kit and the price was even better. absolutely amazing a mod it is! SINUOUS's appearance is as stylish as I expected! EXCELLENT MOD! The 4600mAh is sufficient for me to use four days. Bravo. nice heft and feels good in hands. Considering the price, this is a truly nice one.. I mean, if you want to have adjustable temp and other adjustments and vape smooth! This is the choosen one for ya.